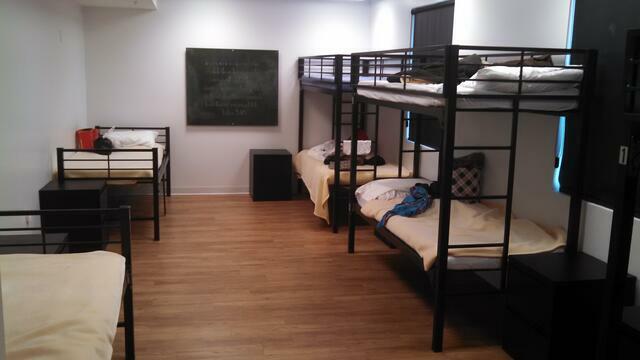 Metal furniture has become a popular choice for group and dormitory living. Metal furniture (aka steel furniture) offers maximum durability and functionality. For tough living environments that serve youth, consumers with behavioral outbursts, or just general heavy use - metal furniture is an excellent solution. Additionally, metal furniture has to have a painted surface so the sky's the limit for color combinations that can either compliment an existing décor or colors that promote team spirit. Beyond the great features of durability and endless color options, metal bunk beds and metal dressers are also a top recommendation by some pest control experts for the prevention and treatment of invasive pests like dust mites and bed bugs. While the bed bugs and other pests can still find hiding spots on metal furniture, metal is highly cleanable and resists damage fromchemical treatments. Wood furniture is still a manageable part of a pestcontrol plan but many facility managers prefer metal for its simplicity of upkeep. So when you look at buying metal furniture, what exactly makes good metal furniture? Metal furniture quality and strength can vary greatly from manufacturer to manufacturer. Many importers bring in light-weight furniture made from thinner gauge metals. High quality metal furniture manufacturers use thicker steel which results in a much more durable product. Metal as a raw material is measured in a way that is sort of counterintuitive - the lower the gauge, the thicker the metal used in the manufacturing. So a 30 gauge metal dresser is actually lower quality in than a 20 gauge metal dresser - think heavy aluminum foil versus auto steel. With so much variety in quality of metal dressers, metal single beds, metal bunk beds, and other metal dormitory furniture; make sure to always work with a reputable furniture supplier who understand the needs of your consumers. Metal is a heavier investment then wood furniture so if the price you find on-line or at a retailer seems too good to be true, you are probably being offered lower quality metal furniture that will not stand the test of time.